Sega has rolled out a new beta patch for Yakuza 0 that will improve ultrawide display support and add a FOV slider, as well as many other improvements to the gameplay and UI. As well as the improved ultrawide support and FOV slider, players should find an improved camera control when using a mouse as well as added support for QWERTZ and AZERTY keyboards. A background audio slider and a UI toggle have also been added to the menus giving players more control over their experience. Various bug fixes have also been implemented, a list of which can be found in the patch notes here. Yakuza 0 arrived on PC last August, following the announcement that it would be arriving on PC during E3, months earlier. While its the first patch had to be rolled back due to some pretty severe crashing issues, Phil thought it was great when he got to review it. The beta patch is optional players are advised not to download the patch "if you are not experiencing any issues" with the game. 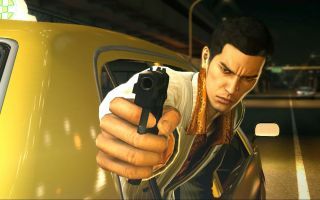 Yakuza Kiwami, a remake of the original with some improvements from Yakuza 0, is due out next week. In the meantime, check out Phil's Yakuza Kiwami review.